This is the privacy notice for Https://www.FrankAvenue.co.uk which is run and managed by Kylie Hadfield. In this notice 'We' 'Our' or 'Us' will refer to Frank Avenue. This Privacy Notice is to inform you of what personal data we collect, how we use it and how it could identify you as an individual or company. So, What personal data do we collect and why do we collect it? At Frank Avenue we collect personal data such as names, email address and IP addresses. This data is collected through Cookies embedded in our website and via comments personally written by you the user. Cookies, what do we collect and how does that affect you? Cookies are used throughout Frank Avenue for various different purposes as outlined below, but for the main reason of allowing us to see how you use our website and what posts are most popular. This helps us recognise what content works and what doesn't. If you leave a comment on our site you may opt-in to saving your name, email address and website in cookies. Theses are for solely for your convenience so that you do not have to fill in your details again when you leave another comment. These cookies will last for one year. If you have a Google account and you log in to this site via our comments box, we will set a temporary cookie to determine if your browser accepts cookies. This cookie contains no personal data and is discarded when you close your browser. When you log in, we will also set up several cookies to save your login information and your screen display choices. Login cookies last for two days, and screen options cookies last for a year. If you select 'Remember me', your login will persist for two weeks. if you log out of your account, the login cookies will be removed. If you edit or publish an article, an additional cookie will be saved in your browser, this cookie includes no personal data. No cookie information collected via Frank Avenue is ever used to identify and individual. Content used from other websites and what you can expect if you choose to visit. Comments left by you the user and how you can protect yourself. Visitors leave comments on Frank Avenue at there own discretion, information provided is entered via Google Comments and no direct content is captured or stored by Frank Avenue. Your personal information is visible along side your comment, however the option to remain anonymous when leaving a comment is also available, this should apply if you do not wish for others to see any personal information. Google Analytics. What is it and how do we use it? Google Analytics is in use on Frank Avenue, it collects information about how you use our website and where you use it from. 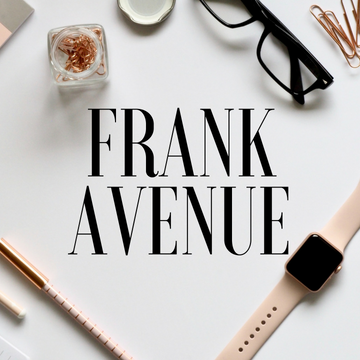 Frank Avenue uses Google Analytics to monitor blog statistics, this allows us to see what posts are being read the most and Frank Avenue's demographic Audience. In other words we want to know if were getting a local audience, UK or an audience from international readers. The information that is logged by Google Alanytics is never shared anywhere on the site, it is for our own personal use. So, your already here but exactly what rights do you have over your data? If you have left comments, this is at your individual discretion, the ability to remain anonymous is the maximum way to prevent access to your personal data. However, if this option is chosen we or any user of the site won't be able to view any of your personal content you may wish to be seen on your own site. You can also request that we erase any personal data we hold about you. This does not include any data we are obliged to keep for administrative, legal or security purposes. Do we send your data to high profile companies who will bombard you with a million spam emails? NO, its very simple, the only way in which your data is sent is via comments. This is solely through an automated spam detection service. If you leave a comment, the comment and its metadata are retained indefinitely. This basically helps us moderate any future comments from you faster and allows them to be approved quicker. Moderated comments is for the purpose of blocking out spam content.